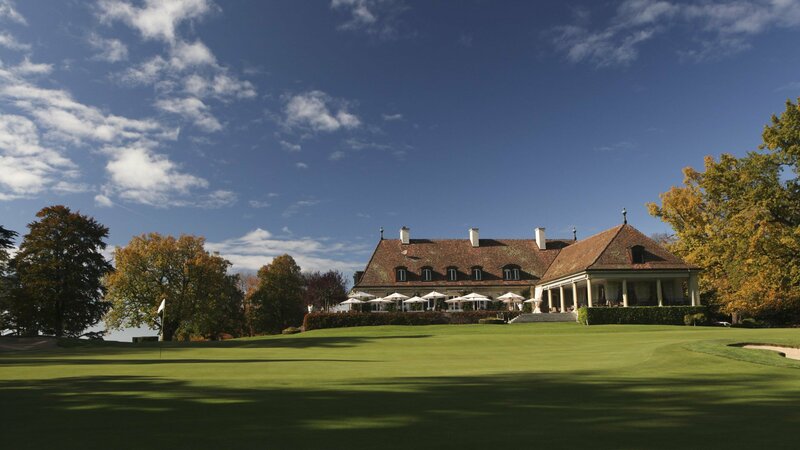 Founded in 1922, the Golf Club of Geneva is located in the “Commune de Vandoeuvres” on the heights of Cologny. 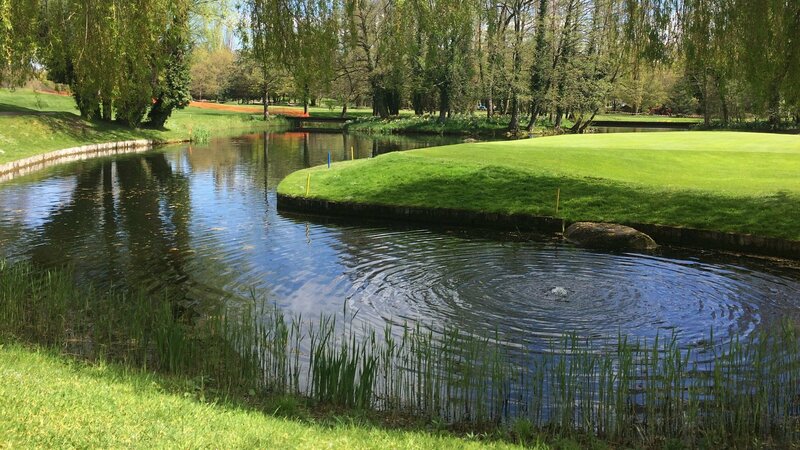 The course was designed in 1973 by Robert Trent Jones Senior, in the exceptional park-like setting of Bessinge. 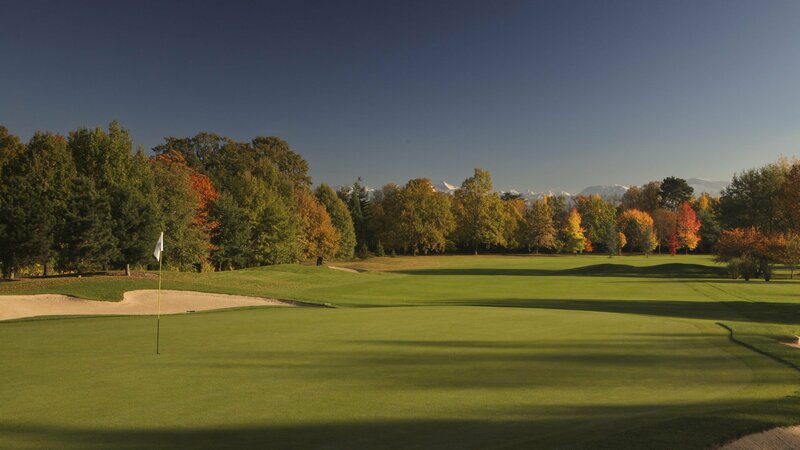 From the first hole, you can see te city of Geneva, its lake and the “Jet d’Eau”, while on the south side of the course you can see the Mont Blanc and the Alps. 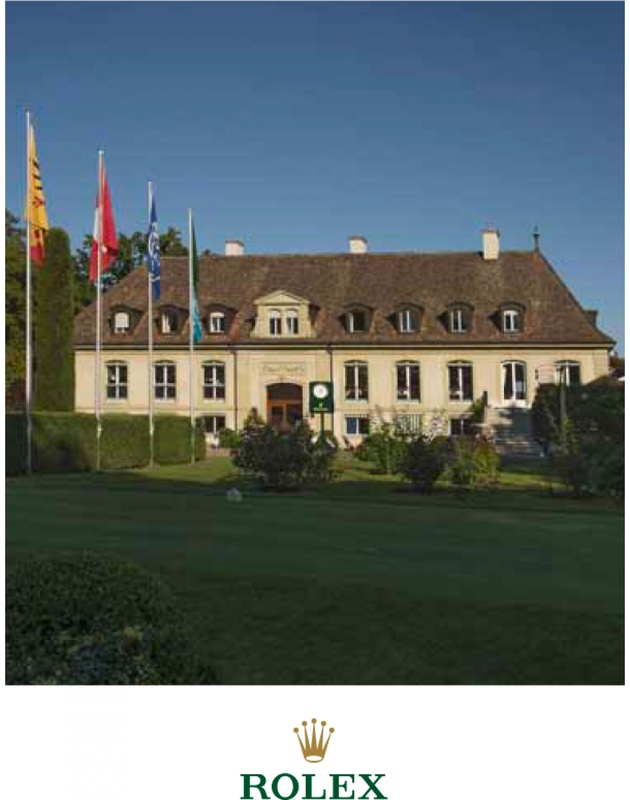 The Golf Club of Geneva has hosted the European Junior Championship in 1975, the World Ladies Amateurs Championship in 1982 and several editions of the International Championship of Switzerland. It is hosting the Rolex Trophy, a major event on the European Challenge Tour for many years. 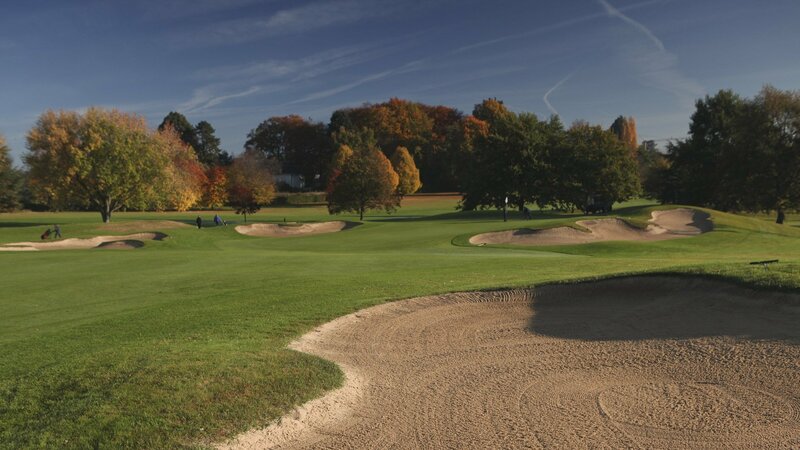 The Golf Club of Geneva is the only 18 holes golf course in the Canton of Geneva, located 10 minutes from downtown Geneva and 30 minutes from the airport. It is a private club open to visitors under the conditions described below. The facilities include an 18 holes championship course, a covered driving range, several putting greens and designated areas to practice bunker shots and the short game. Robert Trent Jones Senior built a magnificent, varied and competitive course on the 100 acres of the Bessinge estate. Several holes, such as holes 2 or 6, or the signature hole 16, are difficult dog legs. 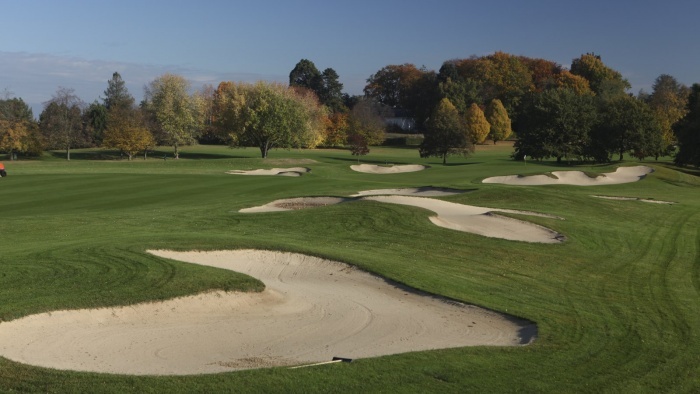 Numbers 7 and 11 are long Par 3 holes protected by large bunkers. The front and back nine holes end up with a sequence of three difficult holes. Number 16, 17 and 18 have ruined many scores! Up to the end, players should stay well concentrated to avoid double bogeys or worse. 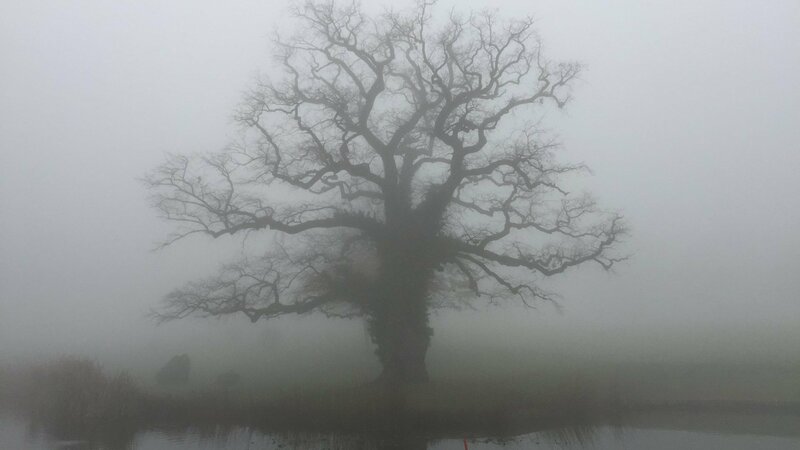 Centuries old oaks and cedars line the fairways. On holes 4 and 15, some are even directly in play. Registration at the front desk on arrival with a membership card of a Club or a recognized international golf federation. 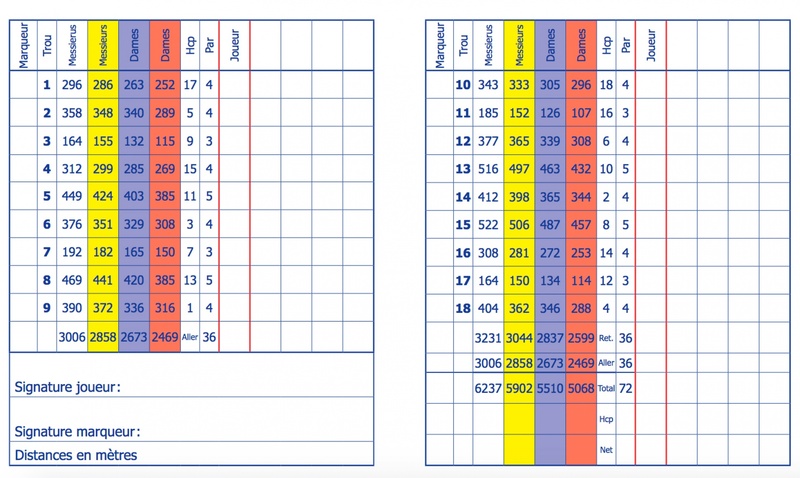 Exact handicap (index) maximum 28.0. Each visitor may play no more than three times per year. Groups of up to four players are welcome. Subject to availability, at least one caddy per flight : CHF 50.- per bag. 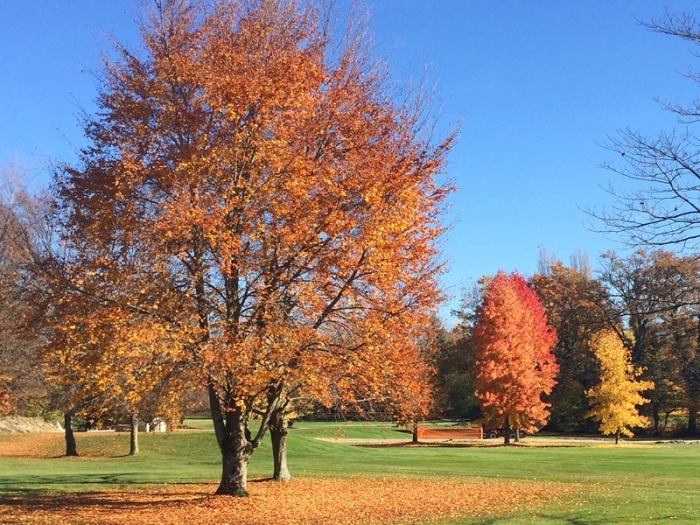 The course may be closed to visitors in the event of a competition or some other functions. It is therefore recommended to call the Secretariat (+41 (0)22 707 48 00) before coming to the Club. The driving range and players restaurant (Snack) are only open to visitors playing 18 holes. For further information or online booking, please contact Geneva Tourism & Conventions (www.geneve.com). Error: Check that the form is complete !